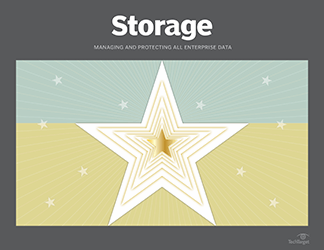 Get to know the 15 top enterprise storage products selected from a field of more than 100 in the 'Storage' magazine and SearchStorage annual Products of the Year competition. A study finds mass secondary data fragmentation across storage silos is negatively affecting IT staff morale and the ability of enterprises to comply with regulations. Hot storage tech trends for 2019 include cheaper, denser flash and multi-cloud data management that can benefit the consumer and create better performance and data protection. Dave Raffo won't pretend to know what 2019 will bring to the world of enterprise data storage, but he does know what he learned while following the data storage industry in 2018. Companies are starting to backtrack when it comes to their enthusiasm for public clouds. More and more are bringing workloads and storage resources back in-house. Backup products don't have a granular enough understanding of data to scan or analyze it effectively and fully meet today's privacy and security requirements.